The more I thought about it, the more I wanted to write this article while the decision on the referendum is still undecided. That is the case as I write and submit this article today, March 7, 2019. I don’t want my comments to be considered from a “winning or losing” perspective. I just want folks to think about the future and about how we can move forward. As most people know, I voted to move our tax collection to RITA because after considerable research, I feel that is the best decision for the City of Euclid. There are residents and other City Council members that feel differently, and they have put forth a referendum to put the issue on the ballot, which is certainly their right. 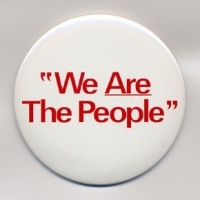 I have seen the phrase, “We The People” used by those promoting the referendum. I believe that regardless of what happens with the referendum, “we the people”, or the residents of Euclid in this case, have decided. We decided when we chose to vote or not to vote. We decided when we chose a Mayor. We decided when we chose our City Council representatives. “We the people” are not just those supporting the referendum. It is ALL of us. If the referendum passes, “we the people” will have the opportunity to vote on this issue directly. If the referendum does not pass, “we the people” will have made the decision by selecting our representatives. Just like all of the other residents in Euclid, I know that no Mayor or Councilperson is going to make decisions that I, or other supporters, agree with 100% of the time. There has always been disagreement within Council about any variety of issues, and I can say with great certainty that this will continue. That is a good thing. We need to challenge each other. We also need to support each other. So, after the final decision is made, what will happen? Can we as a Council provide an example to our residents of how to be respectful in disagreement and move on? There are important decisions to be made at every Council meeting. Can we work together to move the city forward in a constructive, cooperative manner? Not knowing the final outcome, I commit to working with the Administration and my Council colleagues in a positive, focused way to serve the City of Euclid and its residents while staying true to my values and oath of office.